Moving Your Antiques & Collectibles - Moving Services Inc. | Moving Services Inc.
Let the experts give you some tips on how to move your precious items. Moving Services, Inc., cares about the safety of your belongings and wants to ensure they reach your destination in perfect condition — especially those requiring special care like your antiques, electronics and collectibles. This brochure explains how to prepare them for a safe relocation. When the Moving Services, Inc., Agency Sales Representative comes to your home for the first time, point out items that may require special attention. Such items may include fragile porcelains, family heirlooms, valuable antiques and electronics. Decide which items you will pack and which you would like Moving Services, Inc., to pack. Your Moving Services, Inc., Representative is knowledgeable about how each piece should be prepared and can instruct you on what needs to be done for the relocation. If you decide to pack some things yourself, we recommend you use the same materials that our packing crews use to ensure maximum protection. These materials include double- and triple-walled cartons, stretch/cushioning wraps, packing tape, fine tissue and kraft paper. These materials can be purchased from your Moving Services, Inc., Representative at affordable prices. If you prefer Moving Services, Inc., to pack your valuables, your Moving Services, Inc., crew will arrive with the necessary packing materials. Your relocation services will be scheduled to allow adequate time to pack these special items properly. Larger collections can be safely transported along with your other possessions. You have the option of having your antiques crated rather than simply wrapped. Moving Services, Inc., generally uses wooden crates for delicate pieces such as crystal chandeliers, pool table slates and antiques. A custom crate can be built around the piece to ensure correct fit and proper protection. Antique pieces can be packed in cartons with padding, stretch wrap and, if necessary, decking in the truck so they are not in contact with other items. It is best to secure loose parts of furniture and removable pieces before packing, or make this request of the packers. Doors may be secured with rubber straps or strings. You may remove delicate handles and tape them inside drawers for safe moving, or ask the packers to do so. Glass panels or mirrors can be removed or taped and secured with padding and stretch wrap. Moving Services, Inc., recommends packing delicate collectibles in their original cartons, if possible, for the best protection. However, if these are not available, Moving Services, Inc., can pack the collectibles in secure boxes and cushion them in bubble wrap or Styrofoam peanuts. Pack small collectible items like coins, stamps, jewelry, etc. and transport them with you. China, crystal and delicate porcelain should be individually wrapped in fine tissue and placed in specially designed compartment containers with plates standing on edge and stemware in individual corrugated cylinders. Pack dolls, figurines and sculptures as you would other breakable goods. Wrap them individually in soft tissue or padding and pack in bubble wrap or Styrofoam peanuts. If necessary, use double-walled cartons. Ask your Moving Services, Inc., Representative about packing wine or other perishable collections. Special arrangements may be needed to assure the utmost care while in transit. Label all cartons containing glassware and breakables with “Fragile” labels supplied by your Moving Services, Inc., Representative. Anything Moving Services, Inc., is to pack should be left in its place; it’s safer and easier. Ask your Moving Services, Inc., Representative about unusual or hard-to-move collections. Prepare a list of your collectibles for your homeowner’s insurance policy if you have not already done so. Complete the Statement of Customer Responsibilities and High Value Inventory form provided by Moving Services, Inc.,, before relocating. It serves as an inventory of your valuables, indicates to Moving Services, Inc., which items may require special attention and informs you of your responsibilities. List all belongings you consider to be of high-value that are to be moved by Moving Services, Inc.,, including: jewelry, coins, stamps and other collections; CD’s, DVD’s, electronics and antiques; precious stones and metals; and valuable paintings. This will help determine the total value of the shipment and assist Moving Services, Inc., in determining which pieces need special care. When transporting jewelry, coins, stamps, etc., it’s important to remember that Moving Services, Inc., may not be liable for these items in the event they are lost or damaged. The Rights and Responsibilities form states that these items are non-Moving Services, Inc., liability items as we encourage that the customer transport these with them and not include them in the shipment. Make sure all special instruction labels are clearly visible and can be understood by the packers and movers. The van operator must see each item of high-value before moving it onto the truck, including cartons you have packed yourself. If a carton which you have packed yourself is considered insufficient by the van operator, he/she may ask you or Moving Services, Inc., personnel to repack the items. If Moving Services, Inc., repacks the carton, you may be charged for the service. If any cartons which you have packed are damaged during transit, liability may be affected. Use your Customer Responsibilities form and the supplied Customer Check-Off Sheet at time of delivery as inventory lists. Check off each piece/box as it is unloaded and record anything that is missing or damaged. If something is missing, your relocation crew can start the search immediately. If your current homeowner’s policy applies while the shipment is being loaded? Does it apply during transit? Does it apply while your belongings are being unloaded at your new location? If your policy does continue, does it protect from fire and theft? Does it protect from dents, scratches and missing pieces? 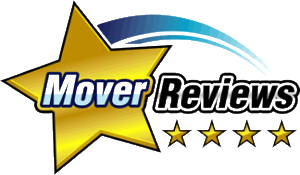 Moving Services, Inc., makes every effort to handle your belongings with care. However, occasionally something may be lost or damaged. For additional protection and peace of mind, Moving Services, Inc., offers two levels of liability protection. Basic liability protection provides coverage at 60¢ per pound per article at no cost to you. For optimal coverage, consider Full Value Protection (FVP) which repairs or replaces items at their current market value. The cost for FVP varies with the level of protection you select.